7 Reasons You Will Always Want Peroxide On Hand! It’s not exotic at all, but wow does peroxide work like nothing else when you want things white and clean and clear! I realized when I ran out of peroxide recently that I now can not live without it. 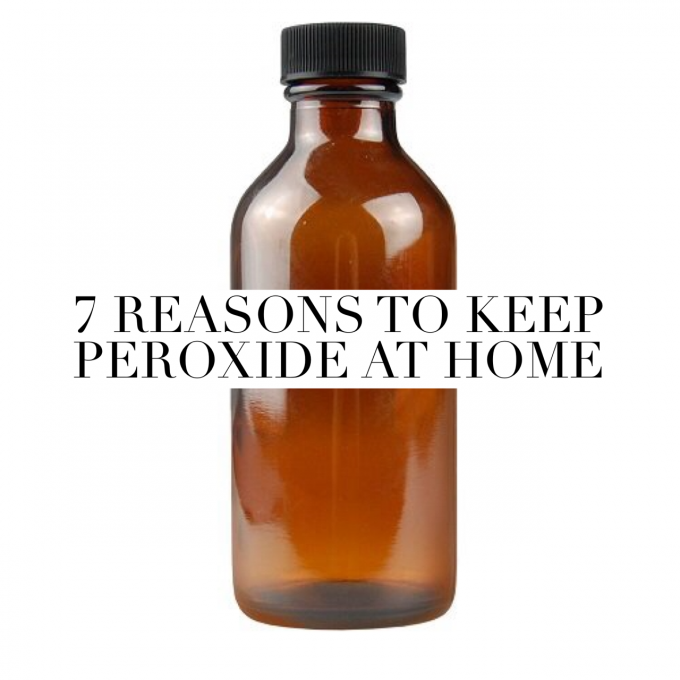 Here’s just a handful of ways peroxide has become a must-have at home! 1. Your ultra-white teeth. Every so often (I do it once a week once a week, I wouldn’t do it more often unless for a very abbreviated period of time as it can be harsh) , I put about 2 tablespoons (roughly) of hydrogen peroxide from the drug store in a cup and add water and swish it for about 2 minutes after brushing, then follow with a swish of water. I wait about 20 minutes before I eat of drink afterward. Ultra-white teeth! I’d run this past your dentist before trying (I did) and get the official OK.
2. Window washing. You will have streak-free windows and mirrors galore with a half-water/half peroxide mix in a spray bottle. 3. Puppy allergies. If your dog has allergies with paw licking like every other dog I know, a soak with some peroxide and water followed by a rinse of water can make a huge difference. I had to do it daily when Bob’s paws were really irritated and they healed within days. 4. First aid must have. Cuts & scrapes get a splash of peroxide as an ultra-antiseptic. It’s not pleasant, but it works! 5. If you see mold in your home, first call a professional to test it and remove it as needed. But if it’s minor mold on the surface grout or tile, straight peroxide will kill it effectively! 6. Clean your produce! I once read that you should soak fruit and veggies in Clorox bleach to purify them— it sounded nuts. When I read about the bacteria that can grow of produce, I somewhat understood this wacky suggestion, however I would never try it! After a 3-day bout of food poisoning where butter lettuce was a main culprit, that little spray bottle of peroxide and water for the windows doubles as a fruit & veggie spray. Spray your produce well and let sit for a few minutes, then rinse well with water and dry everything thoroughly before it hits the refrigerator. 7. Now, disinfect the fridge! And the trash can! And the whole kitchen! A freshly-made bucket full of peroxide and water is a non-toxic germ killer, a fabulous whitener for stained sinks (leave the peroxide water to soak) and an awesome freshner for bacteria-breeding trash cans and refrigerators. 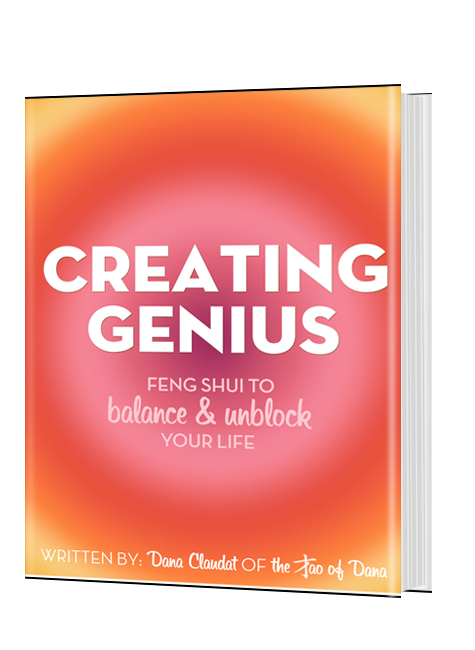 Fast Feng Shui: Giving Is Receiving! Interesting, but I don’t know if I would feel comfortable using that on my teeth when you can use it for window cleaning. Not so much for the teeth’s sake, but for the gums. natural product. I don’t say you’re wrong Dana. We life in a toxic world. Be careful! A lot of toothpastes have hydrogen peroxide already in it. Just a heads up about using peroxide for cuts. It kills the germs sure but it also slows down healing. Fibroblasts (part of the cellular structure of tissue) are an integral part of the healing process and peroxide actually damages them thus making healing more difficult. Previous post: Feng Shui Q & A : Power In The Kitchen! Next post: Why Not Just Go For It? !